Saw this interesting movie in Singapore Airlines, en route to Jakarta. The Lord of War is about arms dealers and how they keep supplying arms and ammunition to the hot spots all over the world. It traces the story of a big-time arms dealer over the course of two decades and is pretty interesting because of its subject: the shadowy world of international arms running. 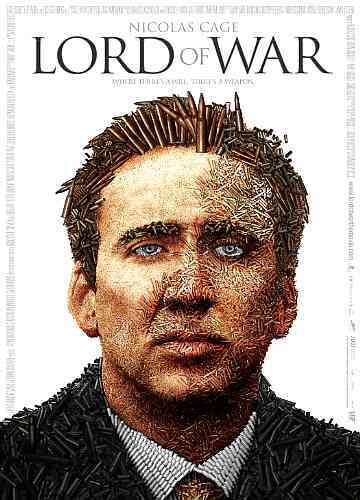 Nicolas Cage as Yuri Orlov does a commendable job and dominates the movie. He does an excellent job of portraying the role of an arms dealer whose main motivation is money and deals with anyone without any political leanings or moral compulsions. The opening sequence was rather unique and telling. It traces the life of a bullet and provides a glimpse of what's in store with the rest of the movie. I was mildly to surprised to hear some familiar background score from the Tamil movie Bombay. I later learnt through Google that our own AR Rahman has done some of the background music for this film. Movie ends with a poignant note that the biggest arms dealers are not the individuals like Yuri Orlov but the most powerful countries of the world. Ironically, they are also the permanent members of the UN security council.